My expectations were actually low coming into this book. All I really wanted out of it was some general gathering of facts and a basic chronology. Like many, I'm burned out from all the bitching between Right and Left, so I had largely tuned out the Benghazi story. I vaguely sensed it had to do with CIA gun running (to Syria), and the possibly avoidable deaths of Ambassador Steven and those trying to protect him. I wasn't expecting, at this time, a real history to such a convoluted event so close in time. Such books usually fall into a gray area that assemble incomplete facts and trumpet polemic. Timmerman's take (Right leaning) is indeed that kind of telling, but it's far more restrained than such books usually are. So much so, that if I had been reading this as a draft, I would of encouraged the author to take out (or mute) his occasional digs at the Obama administration, change the lurid title, and let the damning facts speak for themselves. That said, I have no doubt this book will be a factual foundation for future historians looking into this depressing mess. One primary reason is that Timmerman understands, thoroughly, the murky world of Middle Eastern gun dealing. His ability to discern, and untangle deals, the multiple actors involved, and their motivations, is first rate. "Dark Forces" is really more about this administration's policies toward the Middle East, and Terrorism. We are living -- bewilderingly -- with them right now as we watch events in Syria and Iraq bloodily unfold. Oh, the attack, and events leading up the attack, are all here. But Timmerman also spotlights an almost insane preoccupation with this administration's need to define ("workplace violence," "ISIS" vs. "ISIL") and control the narrative. Here, Hilary Clinton's need to call Libya a diplomatic success, prior to Obama's election, despite the obvious ongoing turmoil, is yet another example of politics trumping reality -- and with deadly results for Ambassador Stevens. On top of that, with Qaddafi's fall (as engineered by the U.S.), dragon's teeth, in the form of shoulder held rocket launchers, are now sprinkled throughout the Middle East. Timmerman's conclusion that it's only a matter of time before a commercial airline is brought down by a Stinger missile, is hardly far fetched. There's every reason to believe that the downing (in Afghanistan) of the helicopter bearing members of Seal Team 6 (whose identities should never have been revealed), was done by a Stinger-like missile that came from Libya. And, in the future, we should not be surprised at similar shoot downs of our aircraft now bombing ISIS, by weapons provided by the U.S. to support the Syrian "moderates." Attempts to uncover the dimensions of the (disgusting) cover-up are ongoing. The story about the offending "anti-Muslim" video is about as thin as it gets, and really is an indictment of both Clinton and an acquiescent media. As big lies go, it's far worse than "yellowcake." There is, of course, some speculation by Timmerman. Most of it is grounded in surrounding facts, just not proven yet. And the author himself admits to not knowing. He also knocks down a few stories, such as Stevens being raped and tortured before his death. One real and believable nugget that jumped out at me is how CIA director Petraeus was probably pushed out. His affair was known about for months. but Petraeus was also not following the Benghazi script. John Brennan, the current director, was heavily involved in the events leading up to Benghazi, and a more trustworthy gatekeeper for the investigations to come. All in all, an infuriating read, but an important one. Amazing the lies and the deceit done all in the name of a quest for power! Where have all the leaders with integrity gone?it is a sad commentary on the state of this country if we feel the American people can't handle the truth and a very sad day for all when our leaders can lie and deceive those they were elected to serve. 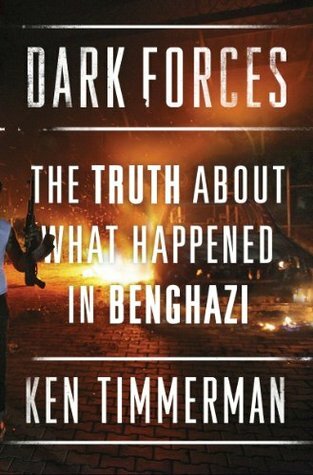 A good book attempting to find the truth about what happened in Benghazi in 2012. Will the full truth ever be told? Please: Read this book if you are thinking about voting for Hillary Clinton as our next President. I walked away from this book with the full realization that there is ZERO accountability in the American government. We destroyed the country of Libya by funding radical islam to overthrow the secular government and it was played as a success by the current administration. Hillary joked, "We came, we saw, he died," referring to the overthrow of Gaddafi (an American ally in the Middle East). This current administration was so desperate to spin this as a "victory" that they told one lie after another to portray Libya as a free state due to American intervention. The reality was that Libya was in total anarchy and that the war was an utter failure. Ansar Al Sharia and Al Qaeda roamed the streets with weapons provided by the Americans and the former regime's looted stockpiles. The blood of many innocent lives was shed, yet nobody was held accountable. This book will frustrate you if you are a taxpayer whose hard earned money is being wasted to run guns and overthrow governments around the world. While I definitely give the author credit for his meticulous research, I, personally, was overwhelmed by the amount of information. This story of Benghazi starts with a look back at events in the Middle East in the 1980's and works it's way up to 9/11/2012, the day of the Benghazi attack. This detailed historical examination, though nearly impossible to digest, showed me that blame for Benghazi could be assigned to many events and many people all through the last 30+ years, but the author made it clear from the outset that he put his money on Hillary Clinton. His slanted viewpoint made it hard for me to read this book as an objective narrative and spoiled my desire to learn the facts and come to my own conclusions. If you already believe Ms. Clinton is the sole bad guy in this tragedy, you'll like this book. If you have doubts, you'll find yourself questioning the veracity of the author's facts and ending up, as I did, deciding that no one person can be totally responsible for any world event. Biased not all facts correct. Kenneth R. Timmerman - My first Middle East reporting trip took me to Beirut in July 1982, and I've been going back ever since. I've lived in Egypt and Lebanon, have worked with freedom fighters in Iran and Iraq, and been held hostage by Muslim terrorists in a war zone. You can read an illustrated bio here or download a 1-page author's bio here. My latest book - Deception: The Truth About the Video Hillary and Obama Blamed for Benghazi , rips apart the lies and the spin about the Sept. 11, 2012 terrorist attacks. In my day job, I help victims of terrorism fight the state-sponsors who murdered their loved ones. While many of my conservative colleagues think I shouldn't mention this, I really was nominated for the Nobel Peace prize along with John Bolton by the former deputy prime minister of Sweden, Per Ahlmark, for my work in exposing Iran's nuclear weapons program.